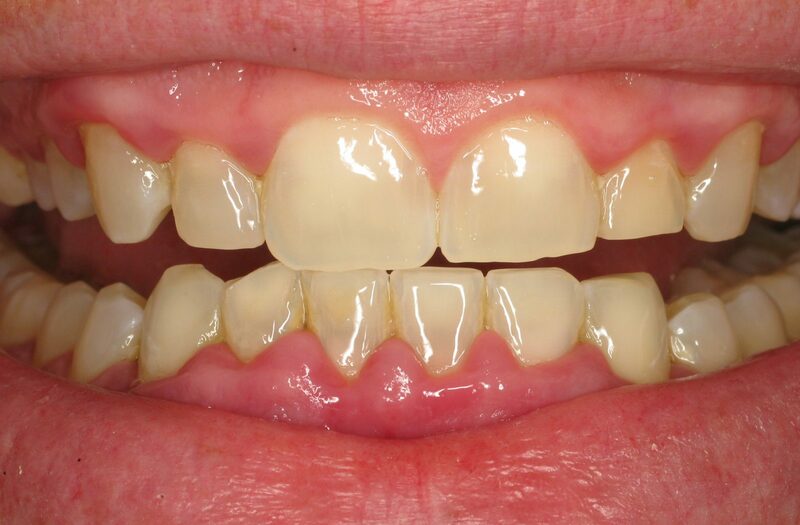 Before Laser Gum Treatment was created, more invasive and abrasive methods of treating gum disease were used. A scalpel was used cut into the patients’ gums to reach the affected area. The scalpel was then used to scrape away the bacteria and the diseased tissue. A general anesthetic was required for the pain of this procedure, and good tissue was often destroyed in the process. Often times, gum grafting was needed to promote reattachment of the gum tissue to the tooth roots. As technology in the field of dentistry advanced, Laser Gum Treatment was developed. 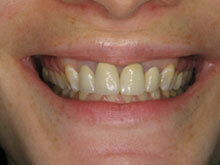 It has become a pain-free, highly successful, nonsurgical method in ridding patients of Periodontal Disease. Laser Gum Treatment involves deep cleaning of the teeth and their roots, where the laser greets the infected pockets to kill bacteria. Once the infected tissue is removed and the root is exposed, the calculus that has built up is also removed. In addition to its deep cleaning benefits, the dental laser serves to regenerate the connective tissue, collagen, and bone around the tooth or teeth. As mentioned above, the only way to slow, stop, or even reverse the effects of gum disease is by physically removing the bacteria, plaque, and calculus from underneath the gums. The removal of the harmful bacteria that cause periodontal disease can be done through several gum treatment procedures. 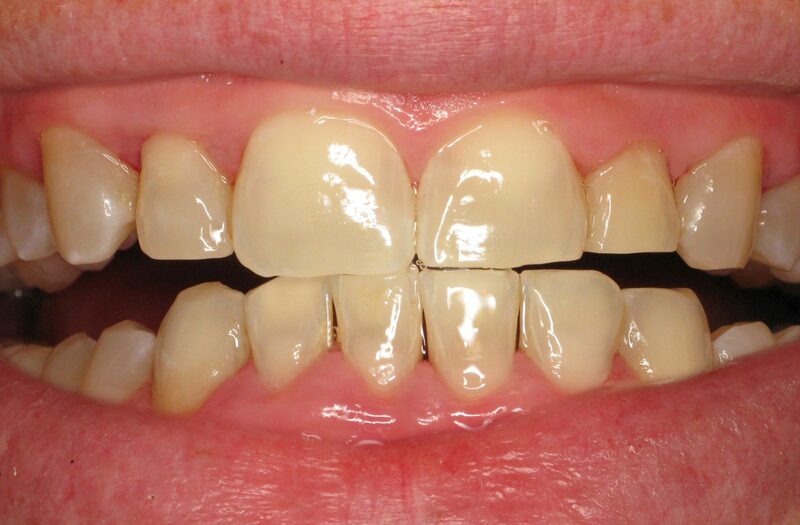 A traditional approach of scaling and root planning (a closed gum deep cleaning) followed by gum or osseous surgery (an opened gums cleaning) are effective ways of removing large amounts of plaque and calculus. 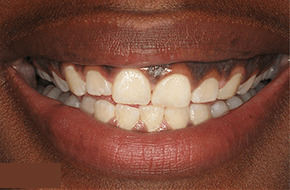 Having a high gummy smile or a short crown length. Very sensitive gums and teeth. Loose, shifting, drifting, and moving teeth. Bone loss and infection around dental implants. Additionally, a less effective approach is with the use of medications and antibiotics. During the LANAP™ procedure, a laser is used to gently removed the harmful bacteria and affected tissue from the deep pockets that were formed between the teeth and gums from gum disease. These deep pockets encourage the disease-causing bacteria to manifest and grow, and the use of a laser can eliminate the bacteria without the need of cutting the tissue. This allows us to preserve the natural tissue which allows the body to heal naturally and faster. Following the procedure, the gum pockets will improve naturally, strengthening the natural gum tissue surrounding the teeth which in turn, stabilizes the teeth. 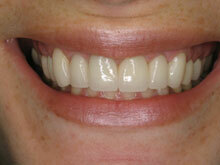 First, measurements are taken of the gums to observe the degree of inflammation, bone loss, and pocket depth. The laser fiber optic tip is then placed on top of the gum pocket. This begins the removal of diseased tissue that lines the inside of the gum or periodontal pocket. This is where bacteria live and build neighborhoods of their own. The bad bacteria destroy the healthy gum tissue and bone that hold your teeth in the proper position. There are specific germs and bacteria that cause gum disease. 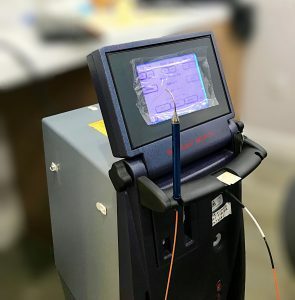 This periodontal laser is designed to target and to selectively eliminate only the diseased gum tissue and germs while dissolving toxins and leaving the healthy tissue unharmed. Once the laser tip is removed from the periodontal pocket and set aside, the next step of the procedure begins. An ultrasonic tooth root cleaning device, which is as small as the laser fiber tip, is used to remove the hard calcium deposits, also known as tartar or calculus, from the teeth and roots. These instruments use sound waves to vibrate and break apart the hard mineral calcium deposits with water flushing out the debris. Some hand cleaning instruments may be used at this time to remove any additional hard calcium deposits. Finally, the laser is used a second time. It is placed at the bottom of the gum pocket in order to remove any remaining diseased tissue. This passing of the laser also sterilizes the remaining gum tissue and bone and completely eliminates the bad bacteria, germs, and toxins. This second pass of the laser stimulates the formation of blood clots which, once formed, contains fibers that reattach your tissue to the tooth root surface and seal out debris and bacteria. By completing all of these steps, your mouth is now prepared and the right environment is created for proper bone and soft tissue regeneration. No scalpel or blade is used during this procedure, meaning there is no need for sutures. 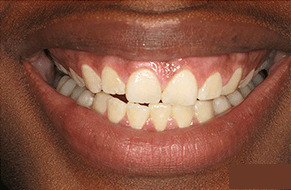 Faster, easier recovery compared to traditional gum disease treatment. Periodontal disease is a common condition that can cause serious health issues when left untreated. For patients who have persistent periodontal infections and periodontal disease, LANAP™ is an effective solution. 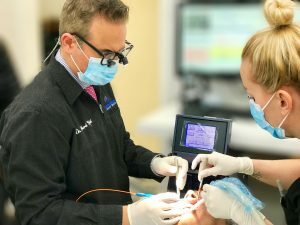 Studies of this minimally invasive treatment with the Periolase® MVP-7™ laser has comparable results to traditional periodontal regeneration therapy while other lasers used in the same manner have comparable results to initial periodontal treatment. That usually means no regeneration. The Periolase® MVP-7™ laser specifically targets the pigmented bacteria which cause periodontal disease. These bacteria under a microscope are pigmented. Research and experiments have shown that the Periolase® can stop the growth of these bacteria while other lasers cannot. LANAP™ is a protocol used to treat moderate to severe periodontal disease. This minimally invasive laser gum treatment utilizes specialized lasers to clean and remove the disease-causing bacteria. It provides a more comfortable and painless experience for patients. This procedure treats periodontal disease more effectively compared to the traditional gum surgery. What Are The Benefits Of LANAP™? Benefits of the LANAP™ protocol include minimal discomfort and swelling, bladeless procedure, no need for sutures, long-lasting results, improved oral health, and a quick and easy recovery. Who Is A Candidate For LANAP™? Since LANAP™ is a minimally invasive procedure, more patients are candidates for the procedure. Individuals with moderate to severe periodontal disease can benefit greatly from the LANAP™ procedure. To determine if you are a candidate for LANAP™, our specialists will perform a thorough periodontal examination to check the depth of your gingival pockets. IF your pockets measure 5 mm or more, that indicates an advanced case of gum disease and LANAP™ is most certainly needed for treatment. Gum recession and loose teeth are also signs that the gum disease has progressed, making you a candidate for the LANAP™ procedure.